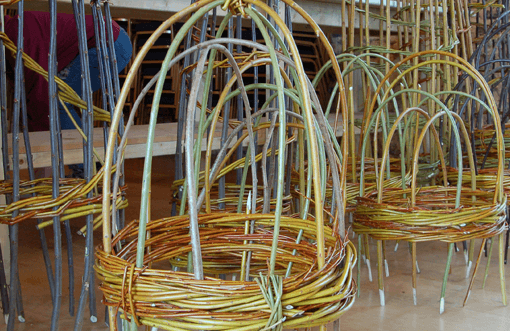 Guided by the experienced and friendly Mollie, learn how to make traditional Willow Plant Supports on this fun day course, where you will get the opportunity to make two different styles for your garden. Using willow which is sustainable and locally sourced, we will weave a smaller plant support ideal for peonies, phlox, dahlias or any other similar plants you may have in your garden. 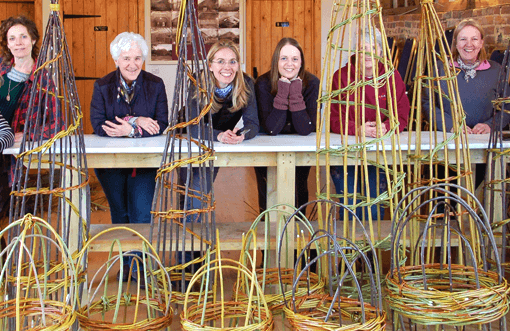 We will also create a tall support ideal for sweet peas, clematis, peas, runner beans etc. Your plant supports will last 2-3 years if you store them out of the weather when not in use and the skills you learn will enable you to make your own supports for years to come. No prior skills are needed. However, If you have issues with manual dexterity or strength please get in touch to see how we can support you. Please consider how you will transport your supports at the end of the day.